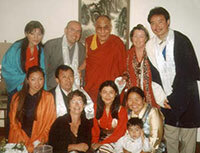 For two millennia, Tibetan culture developed north of the Himalayas, gradually spreading through much of Central Asia. Home to an extensive monastic system and a vibrant lay culture, Tibetans thrived on scarce resources in a harsh climate. Today, Tibet is an illegally occupied country. Its people are outnumbered by Chinese settlers and its culture is rapidly disappearing. The Chinese army invaded Tibet in 1949. 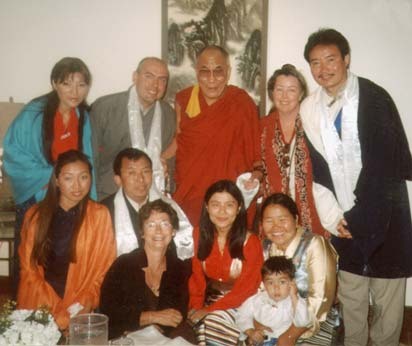 After an abortive national rebellion against Chinese rule in 1959, His Holiness the Dalai Lama, Tibet's head of state and spiritual leader, and some 80,000 Tibetans fled their country into exile. By 1997, this number had reached 130,000. By the mid 1980s, over 1.2 million Tibetans died of starvation, forced labor and execution; thousands of Tibetans were imprisoned and tortured for their beliefs; and all but a handful of Tibet's 6,000 monasteries were destroyed. 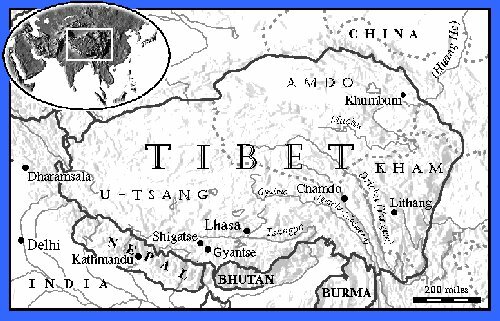 Since the early 1980s, China's policy of encouraging Chinese immigration to Tibet has become the single greatest threat to Tibetan culture. Chinese in Tibet now outnumber Tibetans 7.5 to 6 million. Of more than 12,000 shops in Tibet's capital, Lhasa, fewer than 300 are Tibetan-owned. China's 1992 economic "opening" of Tibet to foreign development is creating jobs for Chinese immigrants, jobs for which Tibetans are not trained, and further economically marginalizing Tibetans. Commence earnest negotiations with China. The Chinese government has repeatedly opposed any negotiations with the Dalai Lama and the Tibetan Government in Exile and the brutal oppression of Tibetans continues unabated.